Apple is doing cool things with Augmented Reality. Here’s you need to know about Apple’s latest AR update. 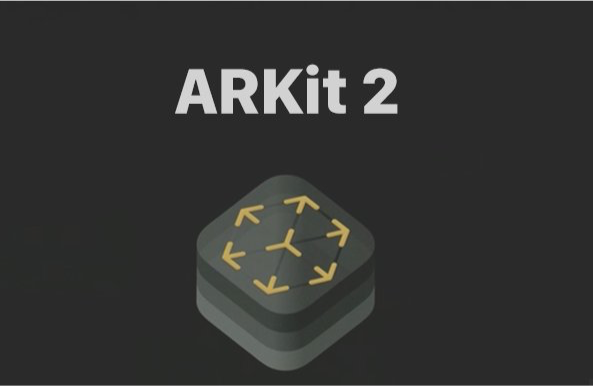 Apple’s big WWDC 2018 keynote introduced iOS 12 to the world, and one of the key new features of the updated mobile operating system is ARKit 2. 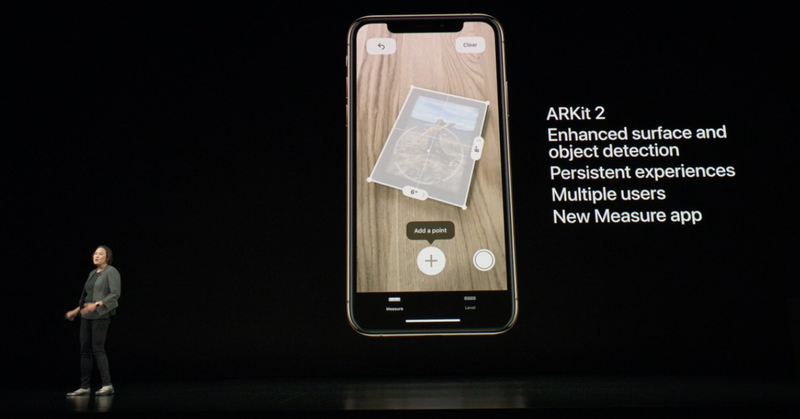 ARKit 2 is the newest version of ARKit, the framework Apple announced at last year’s WWDC that allows developers to create augmented reality (AR) apps and games for the iPhone and iPad. The first ARKit instantly turned hundreds of millions of iPhones and iPads into AR-compatible machines as users could suddenly overlay digital objects onto the real world – with the right applications, of course. With ARKit 2, Apple is going even further. We’ve outlined the big changes ARKit 2 brings forth below. We’ll also dive into what the updated framework could mean for Apple’s AR ambitions going forward. Where VR replaces everything you see by completely immersing you in another world, AR takes the world around you and adds to it. For Apple, this means looking through the camera on your phone and seeing new things in addition to the real world. The applications for this kind of technology are nearly endless. You could point your camera at a painting and have details about the artist appear nearby, or see how furniture would look in your office before buying and moving it. And, of course, AR opens the door to a lot of interesting and fun games. Augmented reality (AR),The word has changed the market of Information Technology and now these days AR is widely used in the market. AR relates to user experience and used to see real time view of 2D or 3D elements from the iPhone/iPad camera. As a result, those elements will appear like real view. The whole AR app development contains camera scene capturing, motion tracking through device, advanced scene processing and display convenience to simplify the task of building an AR experience. This AR technology can be used to create different different kinds of AR experience by using rear or front camera of iPhone/iPad. ARKit was introduced In WWDC 2017, which is an Apple’s framework for iOS 11 and further versions to help AR application developers incorporate augmented reality (AR) into their applications. ARKit holds many tough tasks which are associated with Augmented Reality, including movement detection and the local environment, also simplifying the process for AR developers to place virtual objects in an everyday scene. To use AR app, make sure your app respects privacy pf the user and can use ARKit then ARSession gets activated, which is a shared object that manages the device camera and motion processing needed for augmented reality experiences and along with that ARConfiguration is used to configure AR. 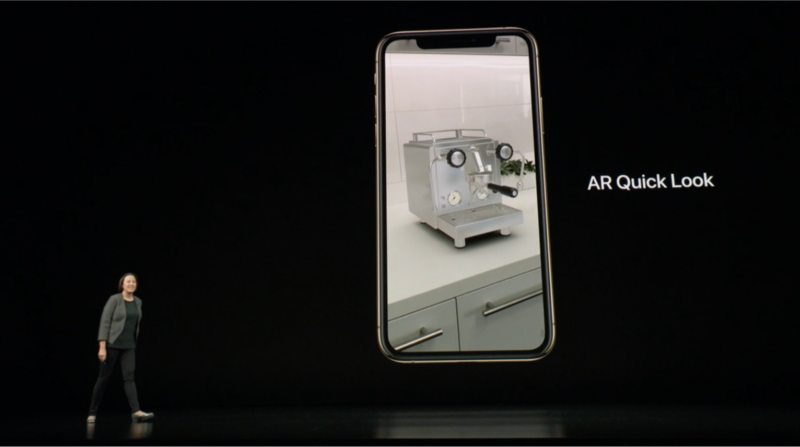 AR uses Back camera and front camera to show both 2D and 3D contents. ARSKView is used to display Augmented Reality experience that augment the camera view with 2D scene contents and ARSCNview is used to display 3D contents. Along with that, using position tracking information it is used for Metal. World tracking AR sessions use VIO techniques which process combines motion sensors data with computer vision analysis of camera imagery to track the position of the device in real-world space. Also, it handles 3D interaction and displays visual feedback and gesture interactions for better AR experiences. For better AR experience Apple has released its next version. displayed with animation at a particular position. It only works with 2D images. ARKit is widely used for Gaming as it is the booming market of AR for the gaming. 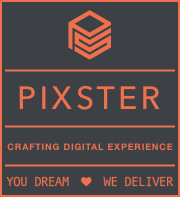 Gaming ecosystem is continuously evolving and the industry and developers are constantly developing games. Today is an older game is powered by AR features to attract more users. For example, Pokemon Go proved to be the impetus and a game changer for the market of Augmented Reality. Above features are of ARKit which had some limitations so Apple has released the second version of ARKit. 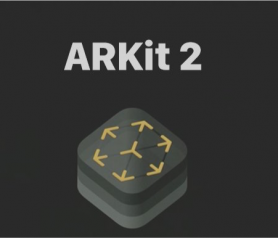 In WWDC 2018, Apple has introduced ARKit 2 which has more enhanced features compared to ARKit. What’s new in ARKit 2? With ARKit 2, developers can now develop multiplayer games. This feature will get most enjoyment out of its multi playing or shared experiences. 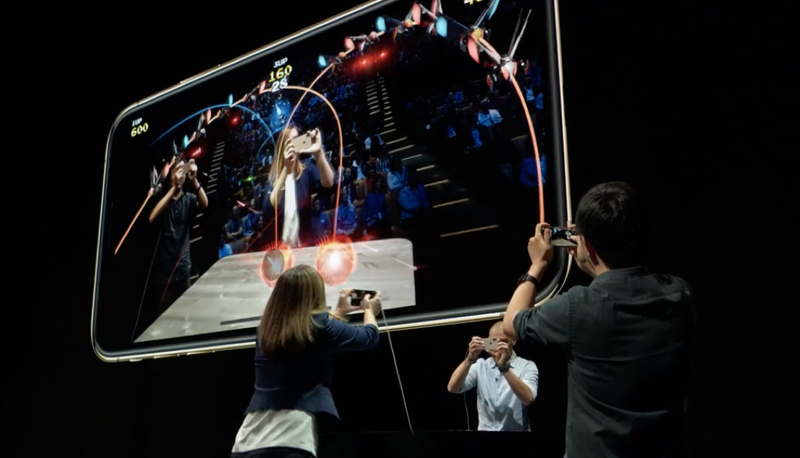 More than one people can see and interact with one AR app or the game using different iPhone/iPad. This is the powerful feature of ARKit 2, especially for Game users, they will be able to play game with multiplayers developed under ARKit 2. One more feature added is persistent tracking added in ARKit 2. When you have placed a 3D object in AR world, the object will be staying there while other users will be able to see it and interact with it which is also called as player-to-player interaction. The measure app lets you measure stuff like measuring room size or any object. With improved object detection of ARKit 2, it becomes more clearer to view objects. Apart from that, 3D object detection used to detect objects of varying shapes and sizes with high accuracy. In Conclusion, apple has introduced new file system called Universal Scene Description (USDZ), used to send Augmented Reality objects across multiple platforms, which makes creating apps with cool animations that much easier for sharing. Before you glaze over this section, know that ARKit 2’s new file format means you can send AR objects across multiple platforms, which makes creating apps with cool animations that much easier. Co-developed with Pixar, the new format is called Universal Scene Description (USDZ) and is optimized for sharing, Apple says. Adobe also plans to support USDZ, making it much easier to use the new format. With USDZ, AR-generated images can be sent over Messages or Mail, then viewed through a phone or tablet in the real-world. This could greatly expand the reach of AR experiences; image saving and sharing something you created over Messages, then mailing it to a friend who can view it and start manipulating it through their phone. Pretty nifty. What does ARKit 2 mean for Apple’s AR future? Apple is not slowing down when it comes to AR development, as evidenced by ARKit 2 and all the new features coming with it. This is good news for those who are looking forward to a future where we’re using our phones and tablets for much than blankly clicking and tapping on a 2D screen. With ARKit 2, Apple is setting an AR course for the next several years, a course that, crucially, revolves around AR being a social experience. Apple CEO Tim Cook has previously stated that he prefers AR over virtual reality because the former lets you stay present in the real world while also enhancing it. VR, by contrast, is defined by blocking out what’s around you to fully immerse you in a digitally rendered realm. ARKit 2’s shared experiences hit on exactly what Cook wants to achieve; a digital enhancement to the real-world that lets you interact with another person, both IRL and in AR. This could come to the fore in Apple’s rumored AR glasses; users will be able to see the same scene through their lenses, each manipulating it in their own way. At the same time, an Apple VR headset with AR capabilities is said to be in the works, so how Apple reconciles the stark differences between the two technologies remains to be seen. What we can say is that social interaction in AR is clearly important to Apple, so chances are we’ll see features that support social features front and center whenever Apple makes its own glasses or headset… or both. 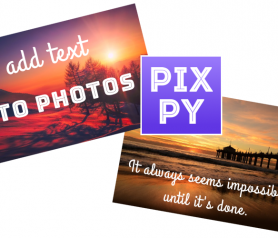 Endrit on How to change fonts on Android without Root?